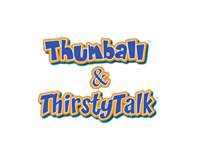 Create a One-of-a-Kind Thumball™ to promote your company in an attention getting way. Custom Thumballs are an effective strategy to market products and services, inspire employees & educate customers. 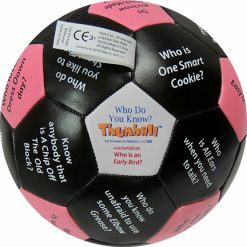 Corporations use Thumball™ as a training tool, team builder and promotional giveaways. 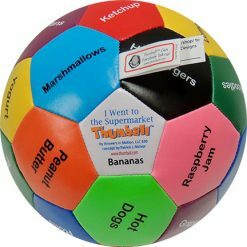 Teachers tell us Thumball™ increases motivation and helps students retain facts. Families tell us Thumball™ is fun and easy for all to play inside, outside and even in the car. All ages and abilities can play including those with learning challenges: Autism, Asperger’s syndrome, language delays or disorders or anyone learning a second language. Brain development research indicates we learn and retain more when actively doing something as opposed to only reading about it or listening to it. 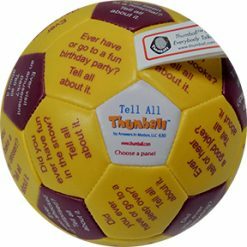 1018 Tell All Thumball (Size: 4 inches) NEW! 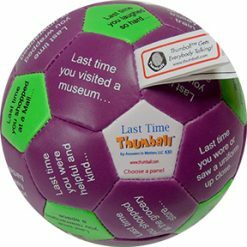 1017 Last Time Thumball (Size: 4 inches) NEW! 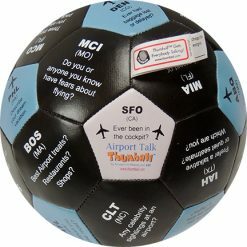 1016 Airport Talk Thumball (Size: 6 inches) NEW! 1015 Who Do You Know? Thumball (Size: 6 inches) NEW!